Legislation has been submitted to the House of Delegates which would financially penalize local governments which ticket innocent motorists. House Bill 435 was sponsored by Delegate Carolyn Howard(D, Prince George's County), and would reimburse a defendant $40 if they contest a speed camera citation in court and are found not guilty. This well intended idea deserves consideration, since it would allow someone forced to go to court to contest a wrongful ticket to recoup a portion of their time and costs if they prevail. Right now, even winning a speed camera ticket in court is typically a money-losing proposition, and only makes sense as a matter of principal in order to avoid making an "admission of guilt" for something you did not in fact do. Delegate Howard was also the sponsor of a bill in the 2012 session "Prohibiting a speed monitoring system or a work zone speed control system from being relocated for the purpose of increasing the revenue generated by the speed monitoring system or the work zone speed control system." That completely harmless idea was killed by the House Environmental Matters Committee last year. Taken by itself, HB435 would not be adequate to address the depth of the problems in Maryland's speed camera programs. Some district court judges have not been permitting defendants to use any defense other than that they were not the driver, forbid them from contesting the recorded speed, and have allowed citations to be upheld which do not have timestamps accurate enough to verify speed. Under those circumstances the bill would not ensure that innocent motorists would actually be exonerated in court, because the judges are wrongly assuming the device cannot be in error -- even though this has been proven false many times over. A somewhat bolder proposal than HB 435 is House Bill 421, sponsored by Delegates Jon Cardin (D, Baltimore County), Conaway (D, Baltimore City), Dan Morhaim (D, Baltimore County), Nathaniel Oaks (D, Baltimore City), and Charles Otto (R, Somerset and Wicomico Counties). The bill contains a provision similar to Senate Bill 207, which we previously covered. It would require citations to "PROVIDE SUFFICIENT INFORMATION TO ALLOW FOR THE CALCULATION OF THE SPEED OF THE MOTOR VEHICLE DURING THE INTERVAL BETWEEN THE TWO TIME–STAMPED IMAGES;" This would make clear that speed camera contractors cannot merely round off timestamps to the nearest second and render the image useless for proving errors, as is currently done in many speed camera programs. Having no way of proving errors after the fact is an extremely convenient way for speed camera contractors, who would like to spout the platitude that "if you don't speed you won't get a ticket" without having to worry about evidence coming up that this is not in fact true (as has happened in Baltimore City). Were it not for the fact that citations in Baltimore did not have detailed timestamp information, odds are they would have kept right on issuing faulty tickets indefinitely without any notice from the mainstream press. Just as importantly as the timestamps themselves, is the fact that the wording of the law clearly states that the PURPOSE of the timestamps is to allow verification of speed, thus protecting defendants from convenient claims by speed camera vendors that citation images cannot be used to verify speed as way of denying errors. "IF A COURT FINDS THAT A CITATION ISSUED UNDER THIS 10 SECTION WAS ISSUED ERRONEOUSLY, THE COURT SHALL IMPOSE A CIVIL PENALTY OF $1,000 ON THE PERSON RESPONSIBLE FOR MAINTAINING THE SPEED MONITORING SYSTEM THAT RECORDED THE ALLEGED VIOLATION FOR 13 WHICH THE CITATION WAS ISSUED. (2) ANY CIVIL PENALTY COLLECTED UNDER THIS SECTION SHALL BE DEPOSITED INTO THE TRANSPORTATION TRUST FUND ESTABLISHED UNDER 16 § 3–216 OF THIS ARTICLE. (L) AN ORGANIZATION THAT REPRESENTS THE INTERESTS OF MOTORISTS IN THE STATE MAY BRING AN ACTION TO ENFORCE THE PROVISIONS OF THIS SECTION IN A COURT OF COMPETENT JURISDICTION." This would essentially empower a group of motorists to file suit against a local speed camera program, and should a significant number of citations be proven to be ticketed "erroneously", the jurisdiction would be forced to pay a penalty to the state. Whether a private group could be found capable of funding such action remains to be seen. However under the current circumstances even if one did, they'd have no standing to seek damages. Under the current situation it is also the case that there is no state agency with a willingness or interest to see such actions brought The SHA has shown little interest in providing real oversight over local speed camera programs. And trust us, the Office of the Attorney General (or "Department of Helping the Government Break the Law" as we call them) has ZERO INTEREST in pursuing wrongdoing by local speed camera programs. Rest assured StopBigBrotherMD.org has TRIED to bring matters to the attention of the Maryland Attorney General's Office, such as Riverdale Park's forgery of police officer signatures on speed camera citations, and the OAG's office responded that it was not their job to get involved. Perhaps if the state had a financial interest in the outcome, then either Doug Gansler or the SHA would care enough about the matter of false evidence being presented against drivers or of innocent motorists being falsely accused to do something about it? of citations issued or paid." This subtle change is because local speed camera programs have been circumventing the existing rule, simply by 'not using the O word' (operates) to describe what the contractors do... something even O'Malley now says is illegal. We HATE the bounty system on this website, and the crooked, sneaky way local governments have flouted the law on this. The fact that Montgomery county and other local governments have been deceitfully circumventing the existing ban on contingent fees simply by not using the word "operate" to describe what the contractor does is a DISGUSTING example of governments acting like they are above the law, and it is one of the main reasons the StopBigBrotherMD.org website exists. then the contractor’s fee may not be contingent on the number of citations issued or paid or the amount of revenue collected from citations under this article." 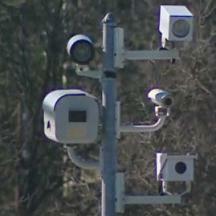 HB421 would also make a change such that for the first 30 days a speed camera is in place, it may only issue warnings. State law contains an existing provision which says that for the first 30 days THE FIRST speed camera is in place in the jurisdiction of a local government, they may only issue warnings. Under the current law some local governments have placed a single speed camera for the first 30 days on a low-volume local road where there was little traffic and almost no non-local traffic, then after the warning period was over would place a speed camera on a major state highway with no warning period. HB 421 would be a good solid step in the right direction. Of course REPEAL OF SPEED CAMERAS (House Bill 251) would be far better and more straight forward. FYI, the city of San Diego just shut down their red light camera program, so it is not like camera programs have not been shut down elsewhere in the country. Any of these bills (HB 251, HB421, or HB435) would need to first clear the Environmental Matters Committee, chaired by Delegate Maggie McIntosh (D, Baltimore City). Delegate McIntosh's committee killed a serious speed camera reform bill last year without even a vote. Find your own state lawmakers and contact them. Or contact the members of the Environmental Matters Committee and tell them what you think of speed cameras, and that you want ALL of these bills given a FAVORABLE VOTE in the Environmental Matters Committee so that the full House of Delegates can vote on them. UPDATE: Hearings are now scheduled for these speed camera bills in the House Environmental Matters Committee on March 5 at 1pm. The Committee will also be having a hearing on a Speed Camera REPEAL bill that day.